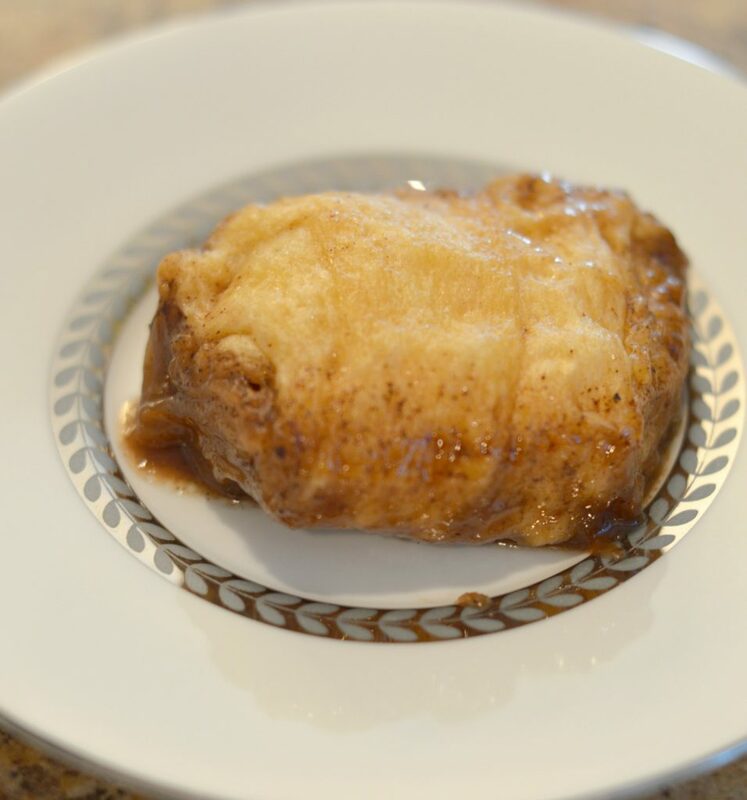 This Instant Pot Mini Apple Pie Dumpling recipe is simply delicious and ready in under 30 minutes! Prepare this for your next family meal and have your family amazed! If you haven’t noticed, I’ve been on an Instant Pot craze lately. My family is witness to this craze and asks me daily, “What is our Instant Pot meal for the day?” Well family, today I am making this easy and delicious dessert. 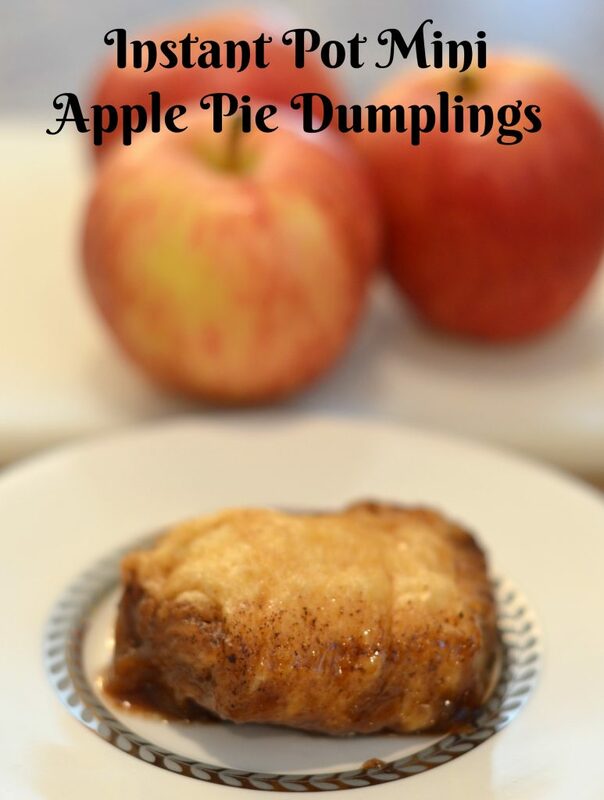 My husband loves apple pie and this Mini Apple Pie Dumplings recipe will be sure to melt in his mouth. Seriously, I was even shocked at how delicious it is. I do suggest serving the dessert warm with a scoop of ice cream, cause every apple pie deserves an Ala Mode, don’t you think? Roll crescent rolls out using a roling pin. Place each apple wedge on the top of the crescent roll and roll (covering the apple wedge). Turn Instant Pot to saute and add butter, brown sugar, vanilla, cinnamon, and nutmeg. Stir until melted. Place the apple wedges inside the Instant Pot. Drizzle apple cider along the edges. Close lid and cook at high pressure for 10 minutes. Allow to release naturally.